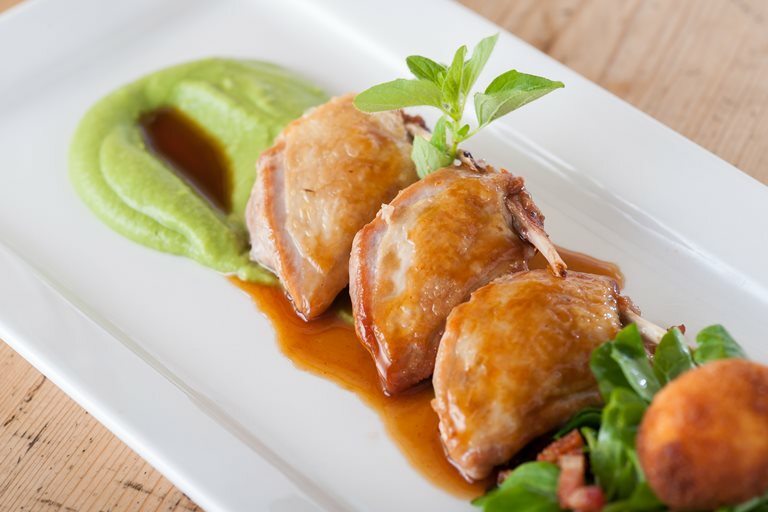 Quail and marjoram are partnered in this recipe by Mark Dodson. It is a majestic combination and the fragrance of the herb - here used in a jus - bringing out the best in the delicate meat. Pea purée and deep-fried quail's egg round off this springtime recipe with a touch of class.